BINGHAMTON — Senior guard Brian Moore bit his lip and interlocked his fingers behind his head following his fifth foul with 44 seconds left in the New York Public High School Athletic Association Class AA semifinal. Wearing maroon & white meant everything to the Tigers’ leading scorer, and he was in shock when he realized he would never play for Kingston again. He’d show up as early as 7 a.m. at the Kate Walton Fieldhouse to get some shots up before an 8 a.m. practice. He’d go to a gym to get even more shots up — even after a win. Moore did everything he could to be the best he could be, but tonight, it just wasn’t meant to be. 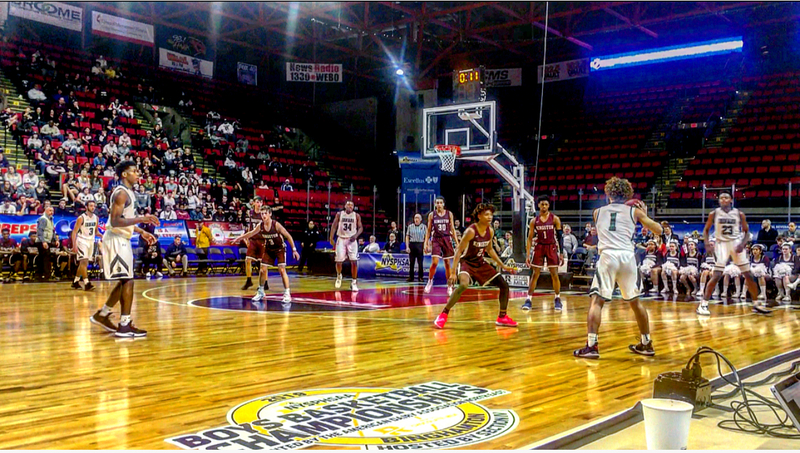 Kingston lost to Brentwood (Section 8) 74-63 in the last game of six on Saturday night at the Floyd L. Maines Arena in Binghamton. After leading 16-15 after the first quarter, Kingston was outscored 20-11 in the second quarter and trailed by as many as 15 points in the second half. They trailed by five points in three separate instances in the final ten minutes. Kingston played their 2-3 zone to perfection last weekend against Mount Vernon, forcing 21 turnovers, with most coming on deflections. It was Kingston who found themselves turning the ball over — with 16. 6-foot-5 senior center Daivel Jackson averaged a double-double for the Tigers this season; despite it being only his second year playing organized basketball. Jackson has no regrets to how the season went. It’s that same passion that put Moore into tears 14 minutes after the game was over. He sat on an empty crate and ran his hands over his light brown strands of hair and mumbled to himself in despair. When he moved from New York City to Kingston two years ago, nobody knew who he was.